What does it mean to be from a place? How does it shape us, and how does it matter? 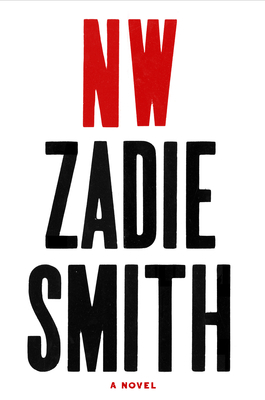 In Zadie Smith's newest novel NW, we are immersed in the lives of Keisha Blake, Leah Hanwell, and Felix Cooper, raised in the Caldwell housing estate in Northwest London. Keisha worked all her life to leave the crowding and deprivation of the estate behind and become Natalie Blake, barrister. Yet when she finally "arrives," Natalie is increasingly unhappy and goes out in search of something to fill her emptiness. Natalie's childhood friend Leah has tried on many different personalities before settling down with an adequate job and lovely husband, but has never gained a true sense of direction, and is particularly incapable of committing to motherhood. Felix just wants to stay clean and start over with the new love of his life, but pays a terrible price when he attempts to make a break with the past. NW is a study of identity and community, the drive to escape the trappings of one's roots, the challenges in attempting to do so, and the consequences of success and failure. Sweet stink of the hookah, couscous, kebab, exhaust fumes of a bus deadlock. 98, 16,32, standing room only- quicker to walk. Escapees from St. Mary's, Paddington: expectant father smoking, old lady wheeling herself in a wheelchair smoking, die-hard holding urine sack, blood sack, smoking. Everybody loves fags. Everybody. Other aspects of NW were more challenging. Smith's style often varied sharply from chapter to chapter, or section to section, which usually made for exciting reading, but sometimes felt disconnected and occasionally made the story hard to follow. The larger issue for me was the overall structure of the book and what the characters are meant to mean to us and to each other: while Natalie and Leah are tied through lifelong friendship, either one's connection to Felix wasn't clear until the end, creating the distracting sensation that his story floats, isolated, in the middle of the novel. The conclusion pulled their stories together, though in terms of both plot and character, it struck me as a bit underwhelming. As a whole, though, it was a good read with a message worth considering. Smith seems to suggest that "who we are" and "where we belong" are complicated states, at once fluid and fixed, both relative and absolute. Making it out of a neighborhood or growing into adulthood can only partly transform who we become: the places of our pasts will always occupy some essential part of us, keeping us from ever truly belonging anywhere else, even while it is impossible to fully return. I purchased my copy of NW from Powell's. I saw her read a few weeks ago and became intrigued by the book- that always happens to me at readings! Your review helped me understand it a little better. I'm not sure I'm going to read it but we'll see. Sounds interesting! How awesome you got to hear her read! Didn't love this one the way I remember loving White Teeth, but definitely interesting - love to hear your thoughts on it if you get to it. Lovely review! With the information that the connection with Felix is provided at the end I'd be more inclined to read it, though of course that's through hearing about it so I'd wonder how it works otherwise. It's good to hear it really, because I've been thinking of reading it and that sort of disconnect would be otherwise off-putting. I like how you compared it to her other work. 've never read Zadie Smith and I feel like I'm falling hopelessly behind. I'll make a point of picking up White Teeth in my next order. I do hope you love it! (But will look forward to your thoughts on it even if not :D) It came out, gosh, mid-late 90s? and she hasn't had a new one in a while. I'm so torn about this one -- I think I might like it but then I get scared away -- maybe I should try White Teeth first! If you decide to pick it up, let me know -- maybe we can read together or something! That would be so fun! Would love it. Now if I can only find it... must be in one of the last boxes somewhere.